Experience with a broad range of communication networks products. We design, build and service complete medical systems. 20 years experience design & manufacturing. 20 YEARS EXPERIENCE WITH THE DESIGN AND MFG OF A BROAD RANGE OF INDUSTRIAL PRODUCTS. Sanmina provides end to end services for enterprise computing, and cloud storage. AS9100 and ITAR certified facilities, covered by SCI, a Sanmina product division. SCI PRODUCTS, AND A GLOBAL FOOTPRINT OF AS9100 AND ITAR CERTIFIED MFG FACILITIES. 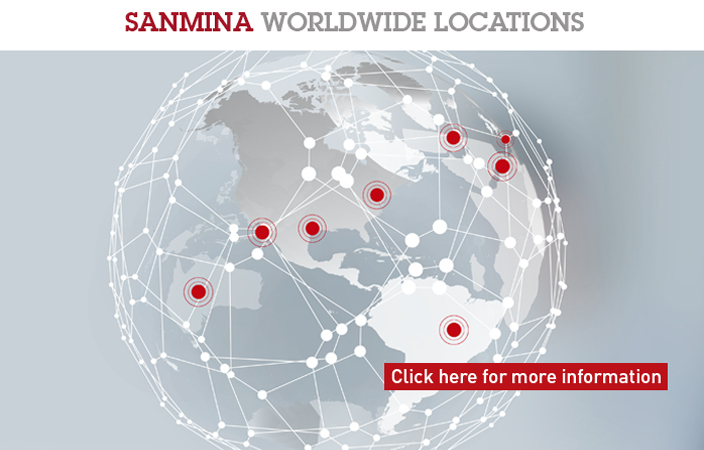 Sanmina is the partner of choice for energy and clean technology. Design & manufacturing for casino gaming, point-of-sale terminals, kiosks, and IoT products. DESIGN & MANUFACTURING OF IOT AND A WIDE RANGE OF CONNECTED PRODUCTS. Sanmina manufacturers automotive products in 11 TS16949 certified facilities world wide.